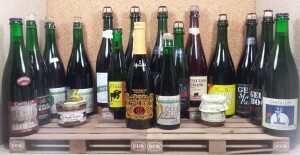 This one is by far the greatest Geuze bundle we put together. Most Geuze brewers and blenders are represented in this pack. Some Geuze are vintage bottlings from years back, some Geuze were kept in the Belgiuminabox cellar and other bottlings were recently released at the brewery. Yet this “Tasting Favourites” is truly an exceptional collection of Geuze and a treat to the Geuze fans out there.